Bodleian iSkills - Workshops in Information Discovery and Scholarly Communications These workshops are aimed at researchers, academic staff, research students and librarians from across the University. The Chinese and Inner Asian collections contain material on the languages and cultures of China, Mongolia and Tibet. Chinese books were among the Library's earliest acquisitions after its foundation in 1602 and numbered over 100 volumes by the end of the 17th century. By the 1920s, following the acquisition of key collections in the 19th century, including 1,500 Protestant missionary publications, Oxford had one of the finest Chinese book collections outside the Far East. The modern sinological collection, which began to develop after the Second World War, concentrated on traditional literature, history, philosophy and religion. More recently, the Library has begun systematically to acquire materials relating to the study of modern China, including local gazetteers, reproductions of 20th century newspapers and a wide range of electronic resources in Chinese. It is now one of the largest and fastest-growing Chinese collections in Europe. The Library has a handful of Mongolian manuscripts. Printed resources are more numerous and include works produced in China, Inner and Outer Mongolia and other areas with Mongolian-speaking populations, together with a wide range of supporting material. The Bodleian Library has a significant collection of Tibetan manuscripts, many of which were acquired in the 19th century. In recent years, substantial bequests from two Tibetologists, Michael Aris and Hugh Richardson, have greatly strengthened resources for modern Tibetan and Himalayan studies, in terms of both archival and printed materials. The main reading rooms are the Bodleian KB Chen China Centre Library (libguide), and the Eastern Art collection of the Sackler Library (third floor). The research collection is held off-site in the book storage facility and readers may request materials to the reading rooms. The pre-modern Chinese collections which include many rare and interesting works from the late Ming to the end of the Qing (late 16th to early 20th centuries) are consulted in the Charles Wendell David Reading Room of the Weston Library. No part of this collection is borrowable. Teaching material for undergraduate and initial postgraduate study is kept in the China Centre Library. This collection aims to provide a solid foundation for all study and course work on the University's curriculum, and most of the material may be borrowed, as can China-related social science materials in the Social Science Library. The location of particular items can be determined by SOLO in the case of western language materials, and the Chinese catalogue in the case of materials in Chinese. Parts of the Chinese language teaching and research collections are still catalogued on cards only, so the absence of an entry in the allegro catalogue does not necessarily indicate that the item is not held. The card catalogue is available in the China Centre Library. Items which are held off site and are listed either in the Chinese catalogue can be requested using SOLO. The teaching collection relating to Tibet and the Himalayas is currently housed in the Oriental Institute Library. Essentials of the Tibetan research collection are in the David Reading Room (Weston Library), and the rest of the research collection is stored in Swindon - the latter books can be ordered through SOLO to be read in the Oriental Institute Library, or other reading rooms of your choice. Following the Library of Congress decision in April 2015 to use the Wylie transliteration system for romanization of Tibetan letters, new library records for Tibetan language works are henceforth in Wylie. 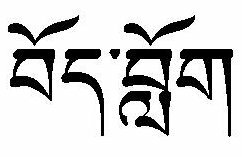 We are assured that old records, and old authority records, will eventually be in Wylie, but in the meantime searches should be done in both the Wylie and the old ALA-LC systems (only 4 Tibetan letters are differently transliterated). SOLO has a facility for searching for only Tibetan language books (adjust the 'language' menu in 'advanced search'). 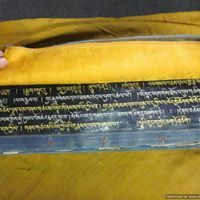 The Bodleian Library has the hard drives for TBRC digital collection (Tibetan Buddhist Resource Center) files of Tibetan texts, TBRC Core Collections 1-13, see here for further details. The PL-480 Tibetan Literature microfiche collection is in the David Reading Room (Weston Library), a useful search tool for it (use Wylie) is here . Teaching and research materials relating to Chinese and Tibetan art and archeology are kept in the Eastern Art collection at the Sackler Library. Please see the list of Chinese Studies e-resources on the website of the China Centre Library.